on it every so often, but for some reason it takes you forever to actually add it to your basket? 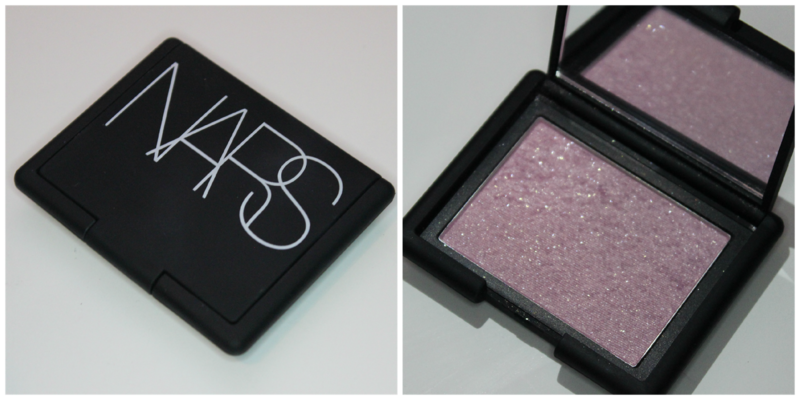 Well, I do and this was one of those items; Nars Blush in New Order is a soft orchid pink with silver and gold shimmer throughout. I first saw this around last Christmas and knew I wanted it, but until last week I didn't pick it up. 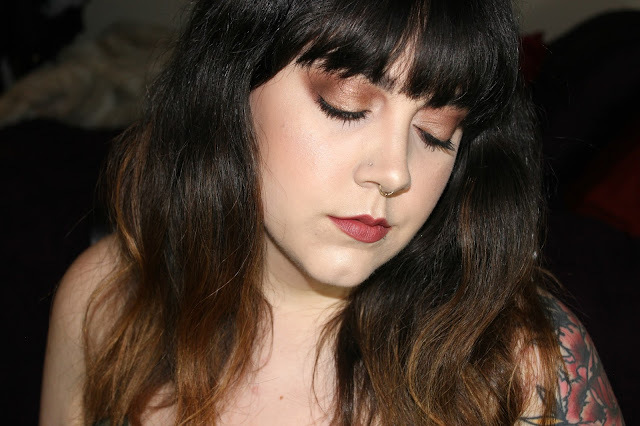 I had swatched it over and over and I couldn't decide if I liked the idea of shimmery pink cheeks. Let me tell you, now that I have finally bitten the bullet and gotten it I do like it..,a lot. Close up you can totally see how it just catches the light and highlights your cheeks. It gives a very soft kiss of baby pink. The reason I ended up getting it was because I was thinking about the idea of doing a sort of frosted ice look when the winter kicks in, a kind of Jane Frost (instead of Jack) look. This is the perfect shade to create that look of an ice queen/snow bunny. It gives the cheeks that cool toned pink flush and the shimmer in both silver and gold give off this icy gleam. Every time Fall comes around I feel the impulse to pick up a new Nars Blusher, They aren't the most affordable at $30 each, but they are pigmented perfectly for their intender affect on the cheeks. Thanks for reading! Please tell me what your favorite blush is in the comments! I'm always interested in new shades I haven't tride before. I hope you have found this to be a good read and will follow my blog either here or on Bloglovin' and if you already follow thank you, it really means a lot. I'm also on Twitter, Instagram & Tumblr, so feel free to follow me there too.